The roosters make their morning call and Jessika is awake, sweeping the front yard, washing the dishes. Sometimes she will help her mother make breakfast for her younger brother and sister. Everything Jessika does is with purpose, her words too. Across a grand river, and nearby the city of Lascahobas, there are five Summits schools along a long stretch of unpaved, dirt road. 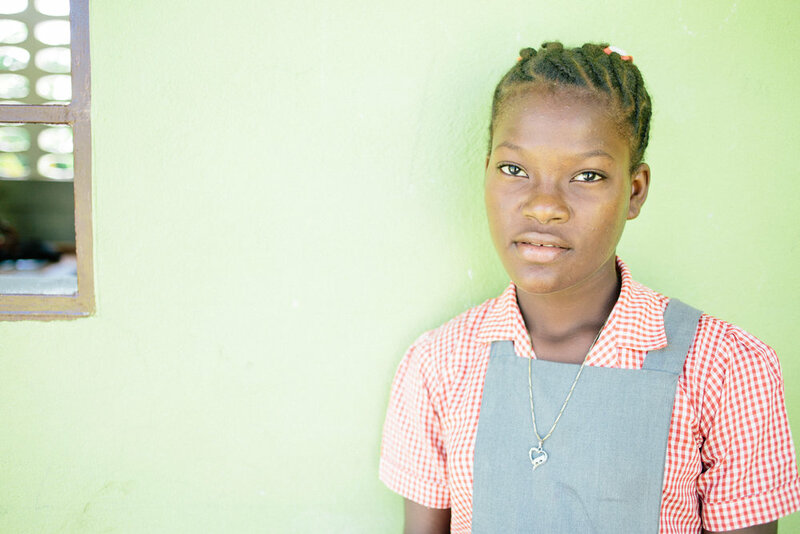 In one of those five, Jessika is in the 5th grade in the community of Roche La Pierre. When Jessika is finished with her morning chores, she brushes her hair. She dresses for school and speaks of how much she loves group activities in class. Her favorite subject is French. In class, Jessika has the air of someone who keeps mostly to herself. But she is surrounded by friends, leading group activities and making sure everyone is on the same page. When a question arises that no one is able to answer, it’s Jessika who is the first to raise her hand. Her family had lived in Lascahobas before moving to the countryside. Lascahobas is less than an hour from the border between Haiti and the Dominican Republic. It was there, from a teacher in the school she was attending, that she first learned about diplomatic relations. Whether or not they finish primary school, many kids will leave the country to migrate to the Dominican Republic. They have hopes of a better education, and more possibilities of finding a job. However, the relationship between the two countries is not so simple; and the situation for many Haitians immigrating to the Dominican Republic is not so easy. With such a complicated history between the two, it’s with communication that the answer can begin to be articulated. Some evenings, Jessika sits with her father and listens to the news happening around the country. Girls in Haiti on average drop out at age 7, but there’s the potential of transforming an entire community by educating just one girl. This is what we know at Summits: With an education, young girls like Jessika can be the next changemakers.